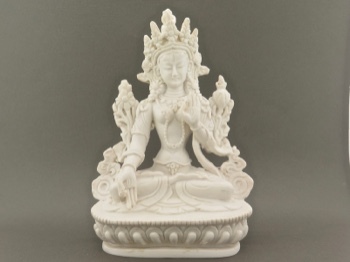 This peaceful and carefully detailed White Tara figurine has a gentle and compassionate countenance. 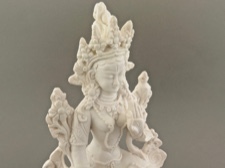 She is revered by Buddhist communities in Tibet, Nepal, Mongolia and Bhutan to help them develop certain inner qualities like compassion, healing and serenity. 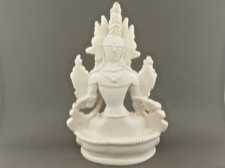 This lovely lady stands 6 inches tall and her base is 3.5x2.5inches. She is white and radiant as the moon.